ESET Cyber Security Pro, the Internet security software for Mac, was highlighted as outstanding by AV-Comparatives’ Mac Security Test and Review 2014. Testing by AV-Comparatives was for the detection of cross-platform malware targeting a wide range of platforms. “We are pleased that ESET Cyber Security Pro scored a perfect 100% in the latest AV-Comparative test. Proven technology found in all ESET’s products povides comprehensive proactive protection against all known and unknown forms of threats targeting Mac users,” adds Ignacio Sbampato, ESET Chief Sales and Marketing Officer. 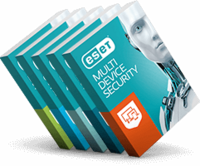 ESET Cyber Security Pro offers users a number of improved native functionalities together with the low system footprint, delivering Mac-like feel for users. ESET’s solution not only protects Macs it also eliminates Windows and Linux based threats preventing Macs becoming a platform for spreading malware. The new Anti-Phishing module ensures high level of protection as users explore the great online. Read more about the product at www.eset.com. The complete results of the test are available at www.av-comparatives.org.